Happy Spring Forward! I am excited that Spring is finally here (well almost). As the days get longer and the weather gets warmer, Spring brings with it promises of new beginnings. It's a time of year where fashionistas look forward to shedding layers of scarves and coats and showcase more of their personal style. 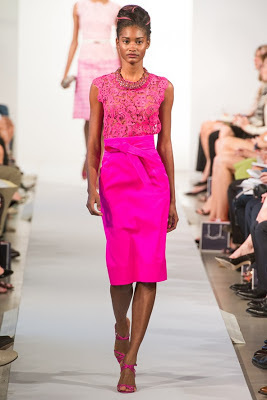 What are you looking forward to wearing this Spring? Here's my Spring 2013 fashion list. Hope you enjoy! Versatile Pink Pencil Skirt like the one pictured from Oscar de la Renta below. It's perfect for colorblocking or wearing with neutrals this spring. I like this skirt by J Crew or this pale pink one from NY & Co. Crisp White Blazer that can be worn with just about everything. 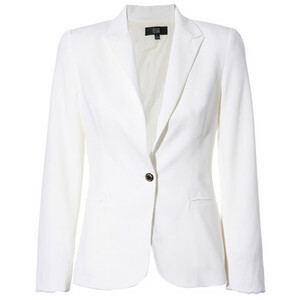 Plus white blazers are bound to look great with Spring's shocking neon colors and embellished jewelry. Blazer can be found Here. 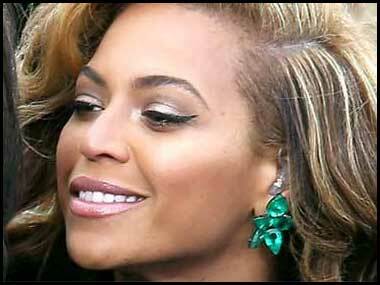 Decadent Earrings I've been looking for the perfect emerald earrings since Beyonce's Inauguration performance and finally found the right pair here. I can wear them to work or play, which is exactly what I wanted. 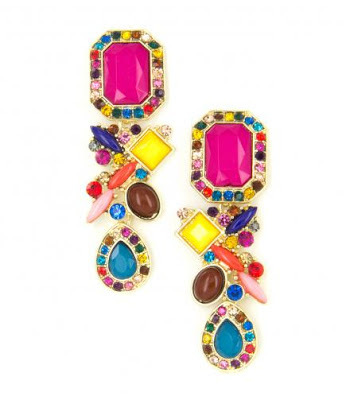 These luxurious earrings from INPINK Fashion Jewelry are pure decadence. 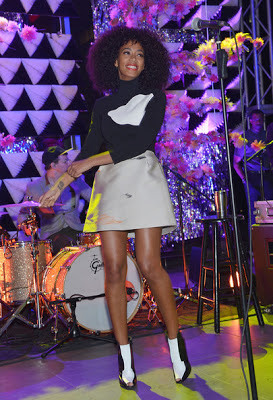 Black and White Shoes - I just love this outfit that Solange wore for a performance last week ( although I love everything Solange wears). I especially love the shoes since I want a pair of black and white shoes for Spring. I found the perfect pair by Jeffrey Campbell (they're definitely "It"). 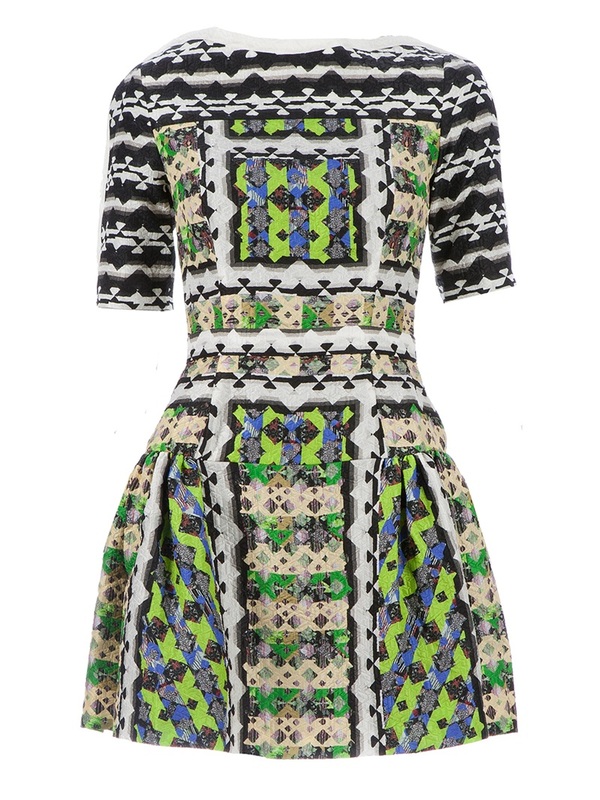 Geometric Print Dresses - Spring 2013 is all about the Geometric print, and I love it. 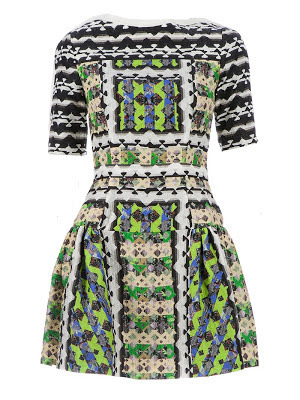 In particular, this Spring I want a couple of geometric print dresses. Modcloth has a number of great options. Ok, Nika this list is totally fabulous!!! Girl, you picked all the right pieces. I need to add them to my wish list. My favorite thing from your list are those Jeffrey Campbell Shoes!!! Great List indeed Doll!!! Yes, those shoes are hot, aren't they! I've been wanting a white blazer for a couple of seasons now. I think it's time I bit the bullet and scored one.